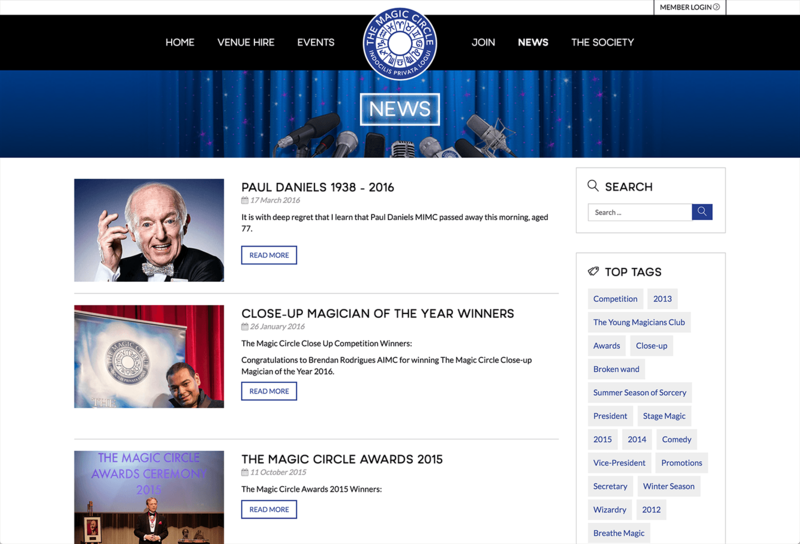 The Magic Circle is the premier magical society in the fascinating world of magic and illusion, dedicated to promoting and advancing the art of magic, an entertainment as popular today as when the famous club was formed in 1905. 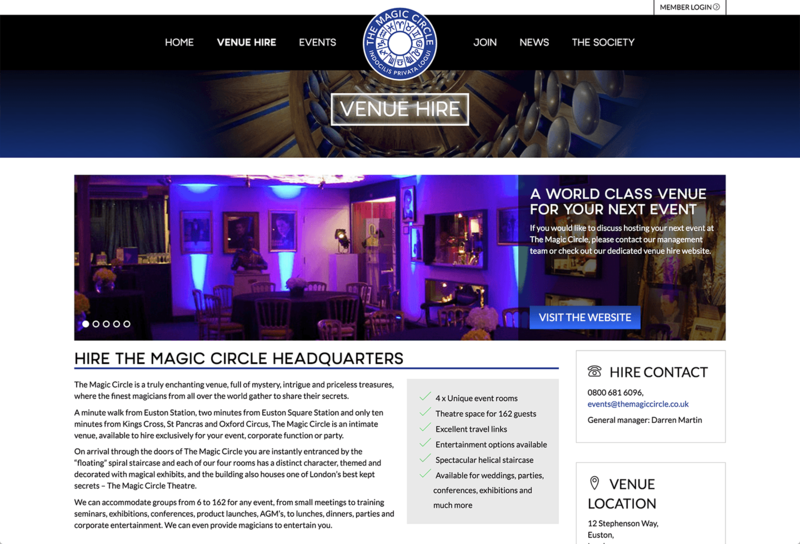 Working with our design partners at 438 Marketing, we were asked to update the old Magic Circle website from Joomla 1.5 to the latest release and create an entirely new theme and lots of new functionality, including subscription payments, a revised members area, events, video and more, while being easy to maintain. 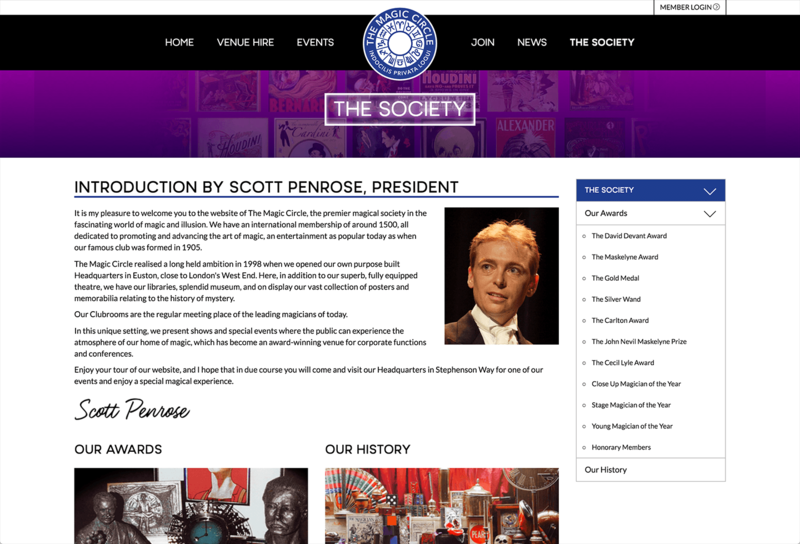 We recreated the old website in a modern version of Joomla, rebuilding and adding new functionality when appropriate. 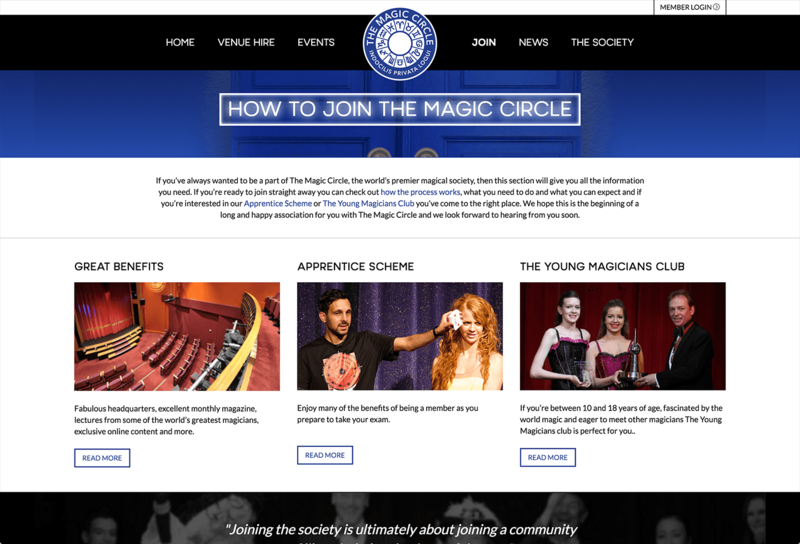 We added direct debit subscriptions and one off payments for memberships, a fun and interactive members map, and brought across a plethora of members information from the old system. 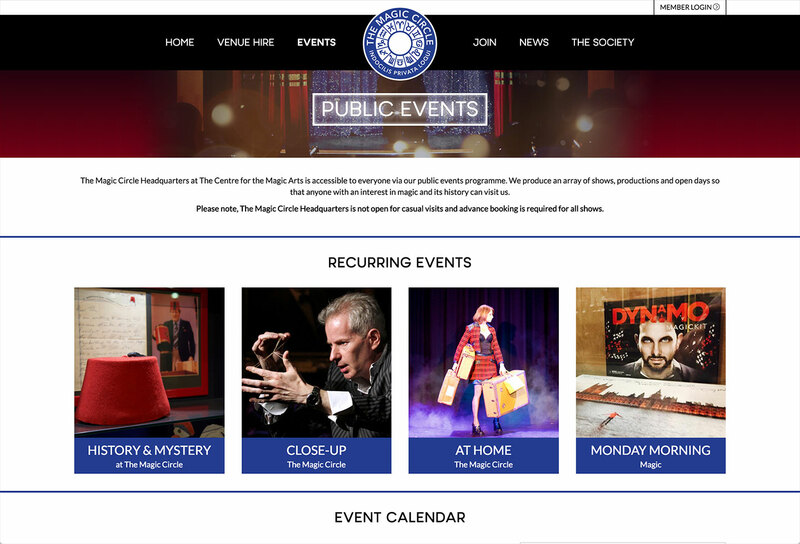 We enhanced the events functionality, added custom forms migrated the site on to a new server, moving membership management away from an ageing Access database system. Annual membership renewal and new joiners are now walked through a fully automated process, calculating membership fees in realtime and processing payments online, hugely reducing the amount of administration required. 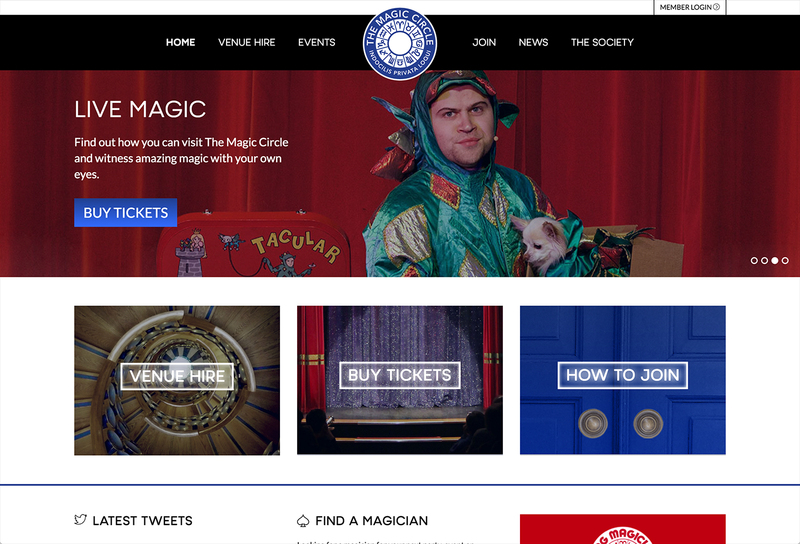 The new design is fresh, welcoming and interesting, and has had overwhelmingly positive feedback from members. 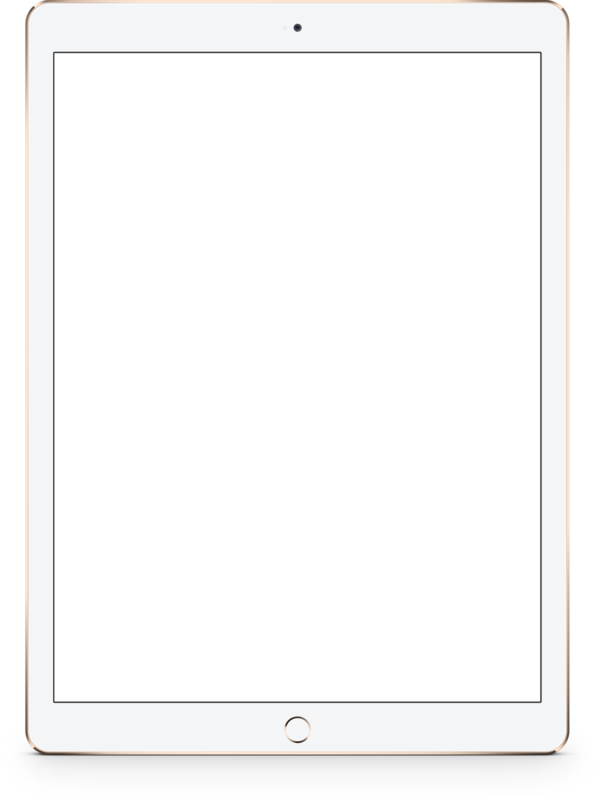 The functionality is up to date and uses modern responsive techniques, making it easy for members to keep up to date on the go.